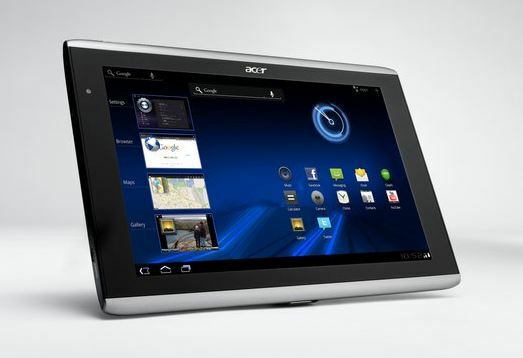 The Acer Iconia Tab is about to get it’s Android 3.2 update… While tablets like the Motorola Xoom, the ASUS Transformer and more have already received their Android 3.2 update, Acer A500 buyers as well as users of the Samsung Galaxy Tab 10.1 or LG Optimus Pad / G-Slate were stuck with Android 3.1. This is about to change! At least for the Acer Iconia Tab A500 users that is. After some delays, Acer Malaysia now informed their users on Facebook that Android 3.2 will be pushed out OTA (over the air) on August 25th. Users of Honeycomb 3.1 tablets like the Samsung Galaxy Tab 10.1 or the LG Optimus Pad/G-Slate, still have to wait on Android 3.2 being pushed out. We know now the Acer Iconia Tab A500 is scheduled to get it’s update this month, at least in Asia. No official statement on US release of the update, but it should be pushed out around the same time.